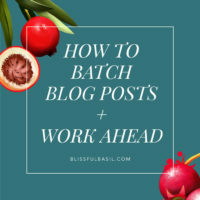 I knew that balancing book recipes and blog recipes would be a daunting challenge, and I initially found myself tempted to hoard recipes I made for the blog out of the fear that I might develop writer’s block and run out of ideas for the book. I suppose this was a realistic fear to have, because shortly after everything became official, I did develop writer’s block. The kind that silenced my mind into nothing more than ingredient chirps. The ingredients were there but the necessary glue to form them into creative recipe concepts was missing. 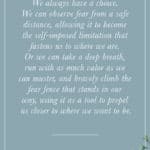 After about two weeks of getting nothing new on paper and searching for solutions, I realized that I had deprived myself of the space to breathe and relax for far too long. Creativity is one of the first things to go when I’m stressed or overworked, and I had been working 7 days a week for months straight. I would never expect my body to function optimally without good fuel, but for some reason I had demanded that of my mind. So, I refueled with time off, laughter, meditation, and nothingness. And from the stillness and calm came recipe ideas that flowed faster than I could get them on paper. A relief after so much silence. Now that I have most of the concepts mapped out for the book, it’s been easier to release my grip on new recipes for the blog. I’ve also spent time sorting through a couple hundred recipe ideas that I’ve jotted down on my phone, iPad, and random sheets of paper over the last year — most of which I had forgotten about — in hopes of reviving some ideas that have a bit of share-worthy glow to them. Half of the ideas will never make it to the kitchen, because they were jotted down in a sleepy state in the middle of the night. For example, here is a gem I found in my iPhone notes: “Crust — soaked flax mixed with river cauliflower and puréed red pep or roasted red pep.” Now, I know “river” was the poorly-formed intuition of autocorrect, but even when I substitute “riced” in its place, I’m still confused. Why does red pepper need to go in a cauliflower crust? What was I going for there? My conscious mind will forever be eluded by my subconscious. 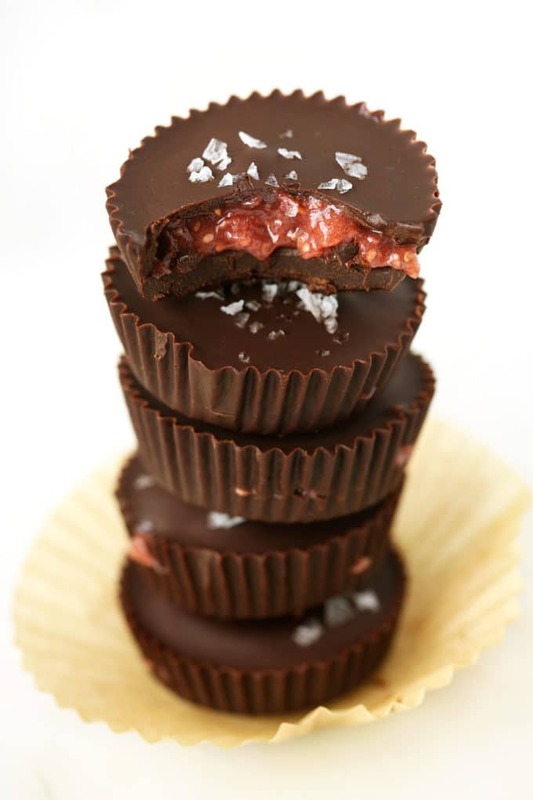 But there were a few diamonds in the rough that I couldn’t wait to make, most notably these dark chocolate strawberry chia jam cups. I’m not sure how I forgot about this idea, because I distinctly remember thinking of it during a weekend trip to Santa Barbara last year. 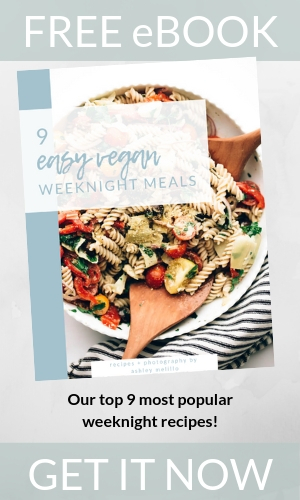 I typed it into my phone while we were driving back to the airport and was excited to give it a go in the kitchen when we returned. Better late than never. 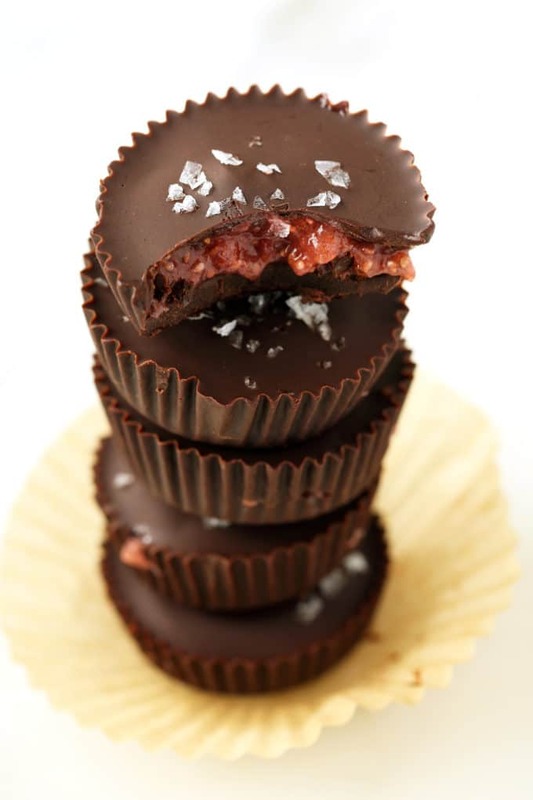 With just six ingredients, these little cups of chocolaty, jammy heaven can be chilling in your refrigerator. I felt a little fancy, so I ended up making homemade dark chocolate from cacao butter, cacao powder, and pure maple syrup, but you can simplify the recipe by melting down store-bought dark chocolate if you prefer. The center is a simple strawberry chia jam that’s made by blending fresh strawberries with pure maple syrup. Then, a hefty dash of chia seeds is stirred in. The jam takes about 4 hours to set in the refrigerator. It’s a little painful to wait that long for these bite-worthy sweets, but I promise they’re worth it. The final but optional touch is a sprinkling of sea salt. 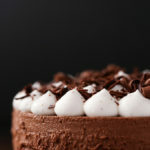 It *pops* the richness of the chocolate and the sweetness of the jam. I hope you love these long-forgotten treats as much as I do. 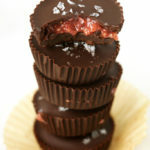 With just six ingredients, these little cups of chocolaty, jammy heaven can be chilling in your refrigerator. I felt a little fancy, so I ended up making homemade dark chocolate from cacao butter, cacao powder, and pure maple syrup, but you can simplify the recipe by melting down store-bought dark chocolate if you prefer. The center is a simple strawberry chia jam that's made by blending fresh strawberries with pure maple syrup. Then, a hefty dash of chia seeds is stirred in. The jam takes about 4 hours to set in the refrigerator. It's a little painful to wait that long for these bite-worthy sweets, but I promise they're worth it. 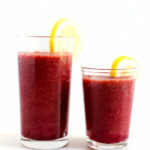 Add the strawberries, dates, and water to a high-powered blender. Blend until smooth (approximately 2 minutes). 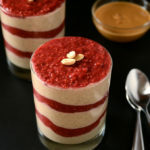 In a small airtight container, combine the chia seeds and the strawberry-date liquid. Whisk together, and refrigerate for at least 4 hours to thicken. Once the strawberry chia jam has thickened, make the dark chocolate by melting the cacao butter in a double-boiler over medium heat. 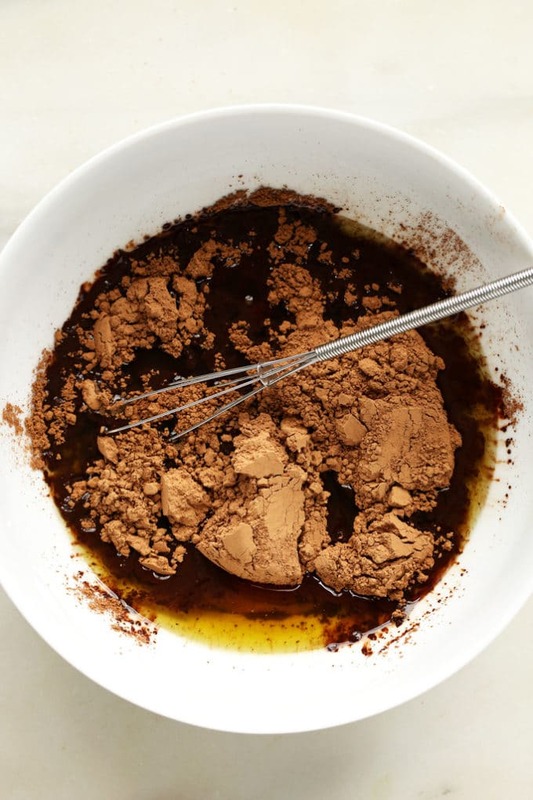 Once it's melted, remove from the heat and whisk in the cacao powder and maple syrup until smooth. Line half of a muffin tin with 6 cupcake liners. 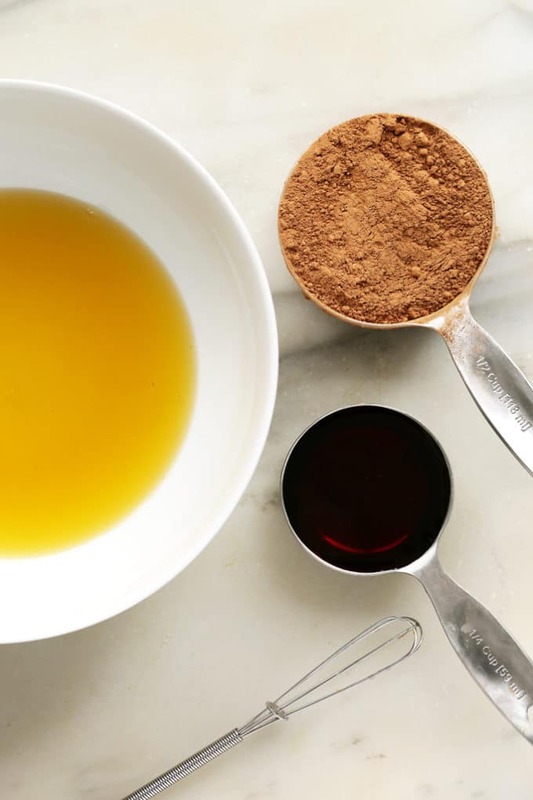 Pour 1 tablespoon of the dark chocolate into the bottom of each muffin liner. Place pan in freezer for 10 minutes to set. 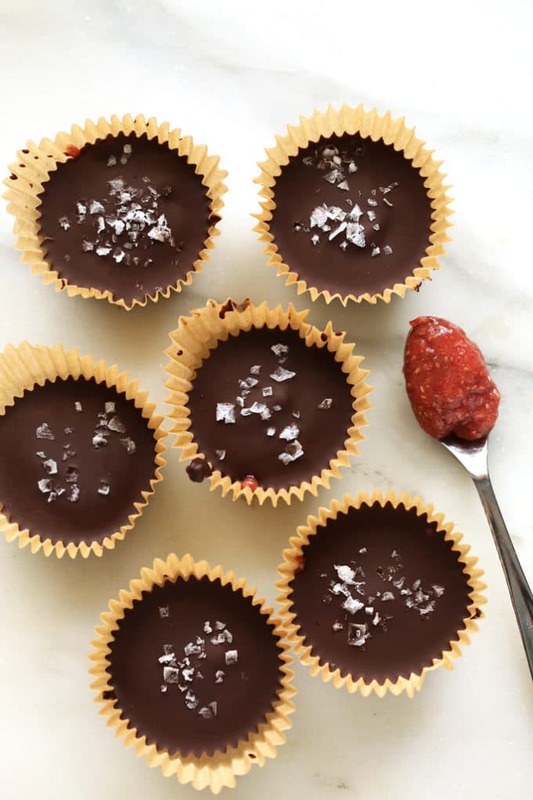 Drop 2 1/2 teaspoons of the strawberry chia jam into the center of the chocolate and carefully spread out within 1/4 inch of the edge of the chocolate layer. 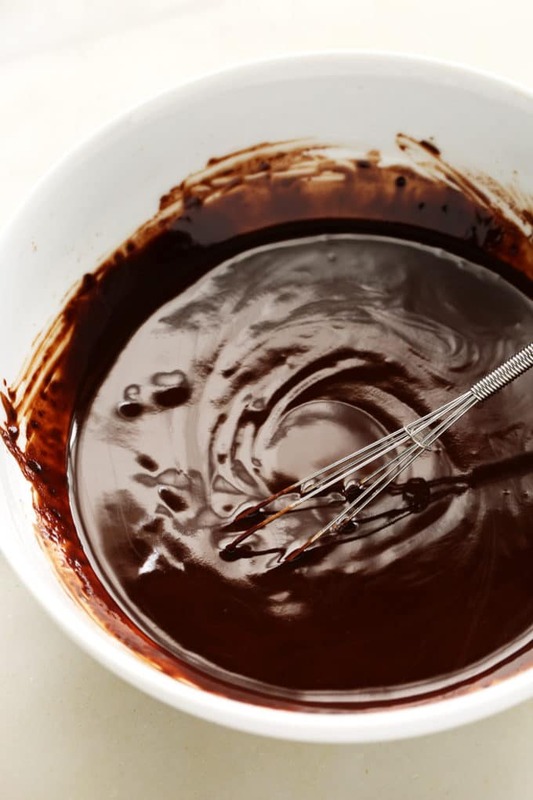 Pour heaping tablespoons of the chocolate mixture over the chia jam, using up all of the chocolate. If needed, drop the pan on a hard surface a few times to smooth out the chocolate. If desired, sprinkle with sea salt. Return to freezer for 10 minutes to set. Store in refrigerator. *If you don't want to make your own chocolate, simply melt about 1 cup of store-bought dark chocolate, adding in a teaspoon of coconut oil if needed to thin. You will have about 1/4 cup of leftover strawberry chia jam. I enjoy the leftovers spooned over coconut yogurt, but you can also spread it on toast with a little almond butter or add it to a smoothie. I’ve had writer’s/creative block for the past month. 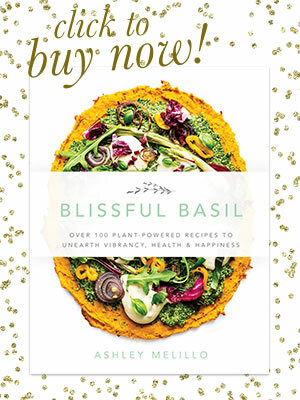 I swear I can’t get out of this funk so I can’t imagine trying to juggle a book AND a blog and recipes for both. I need to take a class taught by you haha! These chia jam cups are everything!!! I can’t tell you how quickly I’m going to make these. Pinning now! I feel for you with the writer’s/creative block; it can be so frustrating. Of course, the more frustrated I get, the more it perpetuates the block. I also find that when I’m in the midst of a block, the things that normally inspire me end up getting me even more stuck. If you’re still struggling with it, I say give yourself a break and take a total veg day/weekend. It’s helped much more than I even anticipated. I’ve also found social media breaks to be helpful. I think it’s all the little things that add up to release one big creative block! As for that class idea, maybe by the end of this I’ll have enough knowledge to share! Haha. 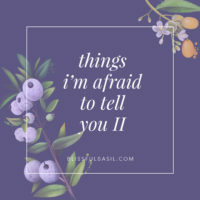 I feel like I have the recipe part down, but the other important things (e.g., replying to comments in a timely fashion) are slipping through the cracks, which never feels great. Maybe I’ll post something about how I come up with recipes though and keep everything organized. Do you think that would be helpful? Thank you for this sweet comment, Lynsey. It means so much, and I’ll be sure to remember it when that sneaky self-doubt creeps in. 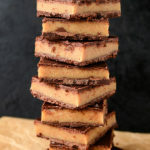 I hope you have the chance to make these treats; they’re a new favorite in our house. Well, my mind is blown. 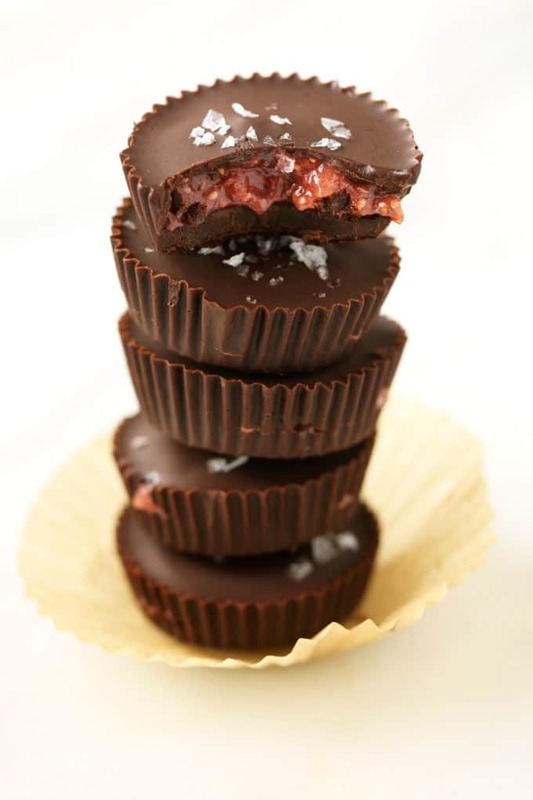 How have I not thought about using cupcake liners for chocolate candy cups?! I’ve been meaning to purchase some candy molds but don’t want to clutter my small kitchen any more than it already is…and BAM…something I already have. BRILLIANT! I’ve no idea how you forgot about these! They look so perfect! Thanks so much, June! Love chia jam too; it’s great on and in so many things! Thanks so much, Lynette! I hope you enjoy them. What a wonderful idea! I love making my own chia jam, and I usually sweeten it with maple syrup. Using dates instead is a wonderful idea!! Thanks, Alexa! The dates help thicken it a bit more which is nice for cups like these. I hope you have the chance to make them! These look like the perfect sweet treat to top off dinner. For years I have been eating a piece or 2 of high quality dark chocolate and a few strawberries. This will be a great way to change it up! 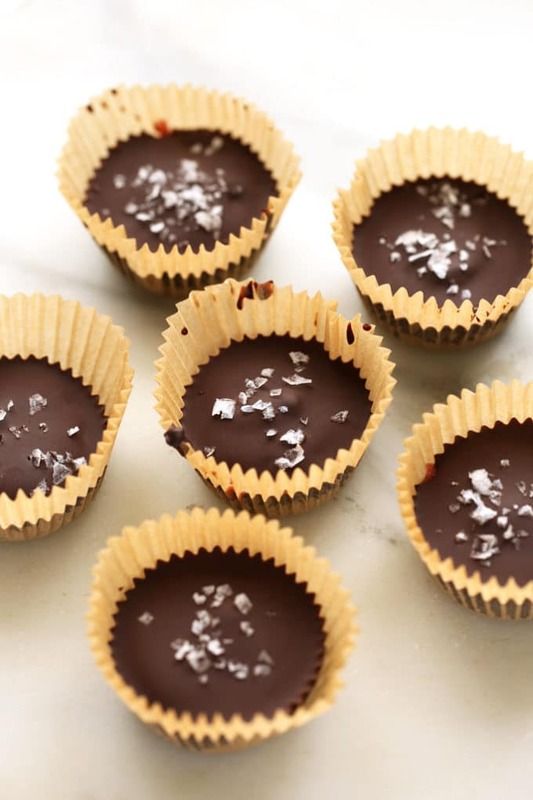 Love chocolate cups! 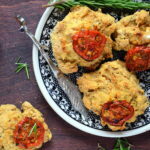 This recipe looks so delicious and healthy. Pinned! 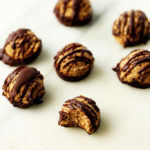 I made these over the weekend but with your cherry chia jam instead and they were decadent. They seem super fancy but I was shocked by how easy they were, I definitely want to experiment with other fillings.